When a friend goes through a crisis, a heartbreaking, gut wrenching crisis, there simply are no words. Or a parent is gone. And we don’t know what to say to fix it. We just don’t have the words. I remember watching my friend having contractions in a hospital bed. She was in the kind of pain that all women go through in child birth. Except her baby was already gone. There are simply no words for this. Last week, I asked moms on my Facebook page what friends said and did to comfort them after a miscarriage or infant loss. Do you know what they said, overwhelmingly? Just say I’m sorry and give a hug. I think this is true in every situation when words fail us. Every time we see pain that we just can’t fix, though we want to fix it so badly, we can simply acknowledge the loss. But so often we don’t. We’re too afraid of saying and doing the wrong thing, of overstepping the boundaries of a new-ish friendship. 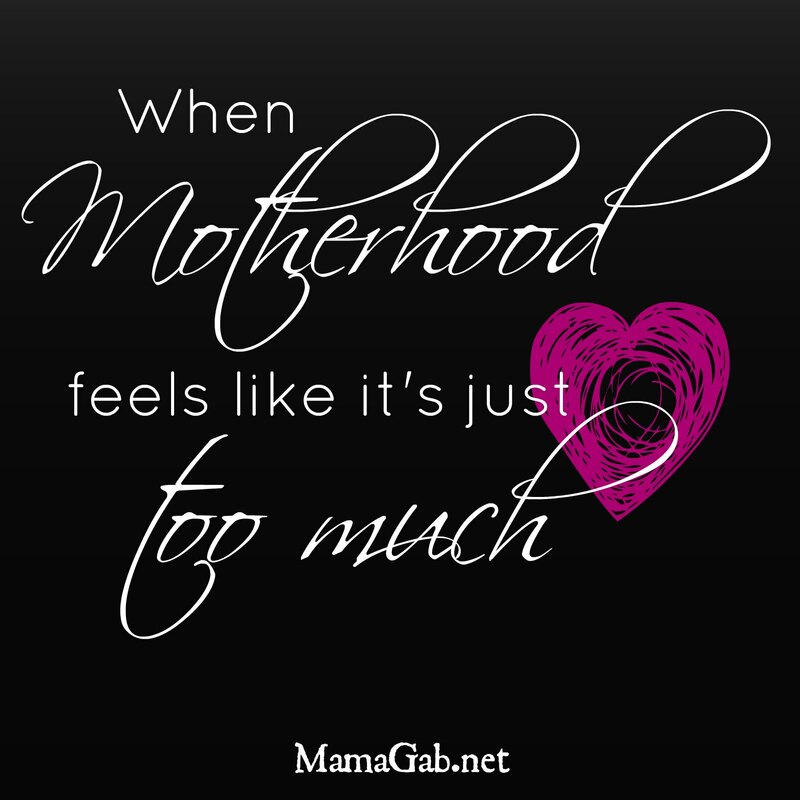 Or we’ve read too many articles about what not to say to a grieving mom or a mom in a tough situation. So we say nothing. And I think it makes it worse because their pain isn’t recognized. A ministry opportunity is gone. So let’s make the hard phone call. Visit the hurting friend. Give the thoughtful gift you’re thinking of giving. Maybe bring a meal and a prayer. Instead of saying we’ll pray for them, stop and pray for them right there over the phone or in that hospital room. Let the comfort of the Lord surround them through prayer. Throw caution to the wind and care for her. What comforts you in a painful time? Enjoying this series? Subscribe to MamaGab by Email so that you don’t miss a post.